It was the perfect night for a party. That is, until twenty-one-year-old Chelsea Dawson disappeared. The social media star was last seen enjoying a beautiful summer night at the Jersey Shore with her friends. But after an explosive fight with her ex-boyfriend, she vanished without a trace. When Seneca, Maddox, Aerin, and Madison hear about the suspected kidnapping, they notice a jarring detail about the victim: she looks exactly like Aerin's sister, Helena, who was killed five years earlier. Seneca is convinced she knows who killed Helena, and she can't shake the feeling that the same person has taken Chelsea. Desperate for answers about the two girls, and the truth behind her mother's murder, Seneca will stop at nothing to find out if the cases are linked. So when Maddox receives an invitation to the Shore from none other than their primary suspect, the Amateurs begin an intense new investigation. 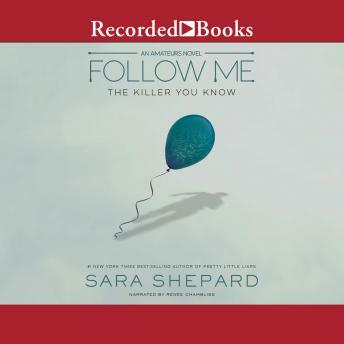 Full of disturbing secrets, startling twists, and horrifying revelations, the second book in #1 New York Times best-selling author Sara Shepard's The Amateurs series follows the team down a twisted path-one crafted by a brilliant killer.